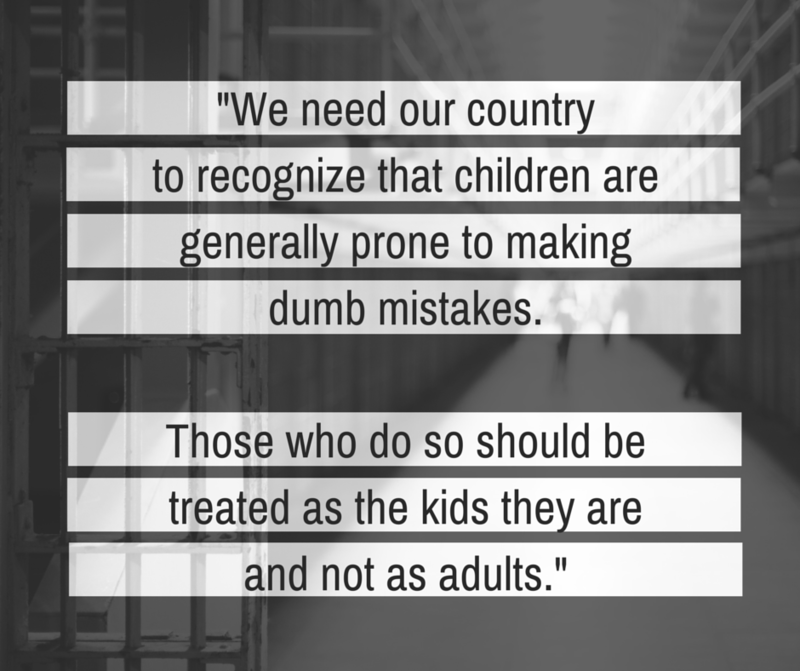 This post originally appeared as an op-ed for the Juvenile Justice Information Exchange. Ironically for a nation that proclaims itself to be the “land of the free,” the United States is home to the largest prison population in the world. This is largely due to the unfairness of our criminal justice system and how it treats the African-American community, specifically young boys of color. Black youth mostly enter the juvenile system for minor crimes that are not proportional to the harsh sentences they serve in harsh prisons. Our criminal justice system “remains particularly skewed by race and by wealth,” said President Obama in his speech at the NAACP’s 106th National Convention in Philadelphia July 14. As a kid who has been involved in the streets, endured racial inequality and been incarcerated facing adult time, three things comes to my mind about how we can fix this: prevention, fair treatment of kids and re-entry. First, we need to invest in all our children, especially our kids of color. They should be entitled to receive the same education, resources and opportunities as those of different races and incomes. Kids are at the most vulnerable and coachable stages in their lives. If they are positively taught early on, then the need to later lock them up will be decreased. Secondly, we need our country to recognize that children are generally prone to making dumb mistakes. Those who do so should be treated as the kids they are and not as adults. Under no circumstances should children be tried as adults or housed in adult facilities. When they are, they are eligible to receive lengthy sentences and exposed to greater levels of trauma. This makes it harder for these youth to be rehabilitated and get adequate skills to go back into the world and be successful if they are ever released. My last point is the importance of re-entry. When I was granted my freedom in 2010 after fighting my case for almost two years, I was fortunate to have two loving families to come home to; my relatives and a writing organization I belonged to while on the inside. Since then, I have flourished thanks to the love and opportunity provided by these families. But many kids don’t have that luxury and are usually released on probation and not rehabilitated. Without any help from the government, they usually end up incarcerated again. Essentially, I believe our system needs to be totally dismantled and rebuilt, mostly by those who have experienced it and been affected by it. But for now, our nation needs to focus on how it treats its youth if we are really serious about criminal justice reform. Alton Pitre is a native of Los Angeles. He is a juvenile justice ambassador, serves on the Member Board for the Anti-Recidivism Coalition and is a sociology major at Morehouse College. Want to learn more? First Focus is a bipartisan advocacy organization dedicated to making children and families the priority in federal policy and budget decisions. Read more about our work on juvenile justice. Want to get involved? You can support our work by making a donation or joining our mailing list to receive updates and action alerts on these issues. DISCLAIMER: First Focus welcomes non-partisan partners in the children’s community access to post to the Voices for Kids (#Voices4Kids) blog. The blog is a place to highlight research, raise public awareness, spark conversation and dialogue, and address the challenges, problems, and issues that confront our nation’s children. Consequently, any views or opinions represented in this blog are expressly those of the author and do not represent the opinions or positions of First Focus, our Board, funders, or employees, unless explicitly stated. In addition, First Focus makes no representations as to the accuracy or completeness of any information on this site or found by following any link on this site.